After a successful debut in 2017 – SOUND IT widely described as Africa’s biggest Gospel Online singing competition is back with its second season where contestants stand a chance of winning $5000 within 1 minute. Registration opens on June 1st, 2018. SOUND IT AFRICA is an online singing competition with an aim of leveraging on the simplicity of the Digital Media to discover and showcase new talents across Africa hence cutting loads of protocols to give these talents an easily way to be heard across Africa and Around the world. The show which in its first season had Uncle Ben of MTN Project Fame West Africa as the lead Judge, also had over a thousand entries from Across Africa especially from Nigeria, Ghana, Senegal and South Africa and was produced by Rising Star Gospel Africa. Rising Star Gospel Africa is an integrated organization birthed to Discover, Develop, and Promote youths with un-harnessed musical abilities. These they do through their different expressions such as Rising Star Gospel Show, Rising Star Invasion Concert, The Campus Tour and Rising Star Music Conference. In the past 4 years, they have successfully produced eight (8) life changing events and have had the honour of hosting Industry leaders like Uncle Ben of MTN Project Fame West Africa, Nikki Laoye, a renounced recording Urban Gospel Artiste, Segun Obe, a prolific Vocal Coach and Therapist, and a host of others. 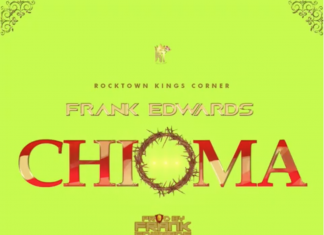 They have aired their events on National and Continental Television stations like HIP TV, Silverbird TV, Trybe TV, Kingdom Africa and X2D TV and have also had multiplied thousands of mentions on blogs, news sites and on the social media. 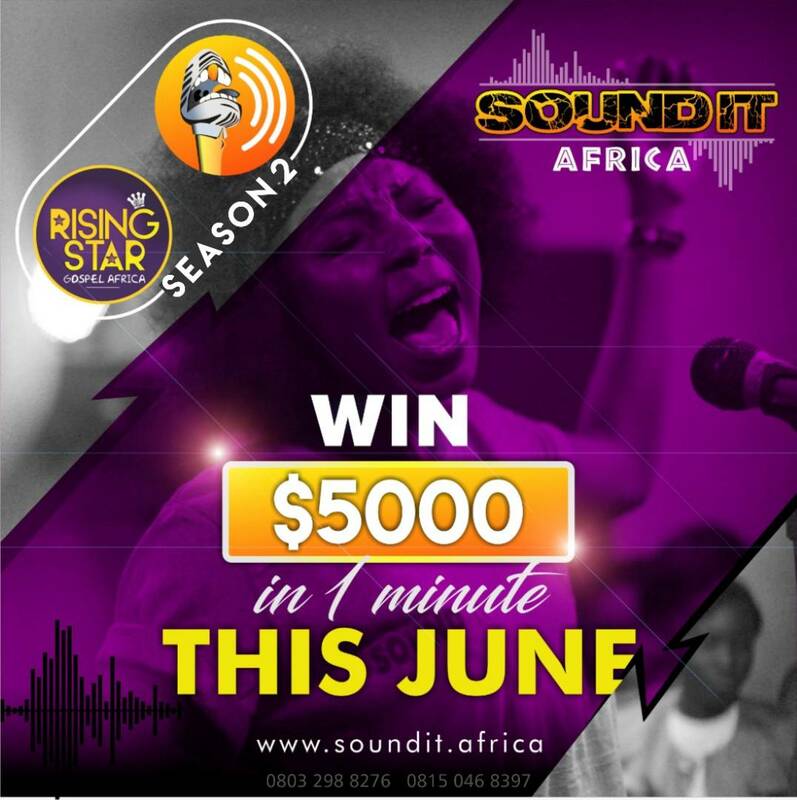 Entry opens on June 1st 2018, and interested contestants are expected to register for the competition via www.SoundIt.africa. Call their hotlines +2348032988276, +2348150468397 for enquiries and further information. Thousands of fans read and trust our blog. Join them and get daily posts delivered to your inbox - free!